Once VLANs and subnets are created, and the firewalls are in place to protect communications between the different security zones, it&apos;s time to deploy the different servers needed and suggested to build the complete Veeam Cloud Connect Backup environment. Active Directory should use at least Windows Server 2008 level and be configured with no backward compatibility with older domain controllers. This allows you to reach an additional level of security. If possible, use native Windows 2016 Active Directory level. 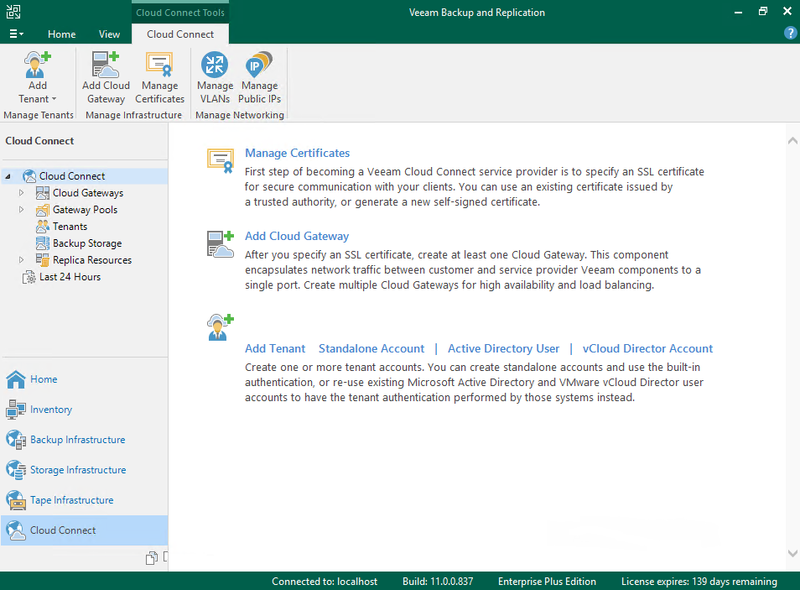 10.10.51.21 and 10.10.51.22 are also the DNS servers to be configured in all other servers of the Veeam Cloud Connect infrastructure. For those servers that will use local authentication, DNS records should be configured manually. There are two windows servers so you can separate Veeam Backup & Replication and Veeam Enterprise Manager. This server holds the installation of Veeam Enterprise Manager and its related database. By having a separated installation, a service provider can better manage the different performance requirements of Veeam Enterprise Manager and the Veeam Backup & Replication server and configure a specific security rule to allow access to the RESTful API service running on the Enterprise Manager from an optional web portal only. The installation has no specific requirements, and you can follow the default wizard from start to finish. A dedicated Microsoft SQL Server 2012 Express is installed locally as part of the installation wizard, and Veeam Enterprise Manager itself will use it. If the service provider is also going to offer replication or DRaaS services, the optional cloud portal should be selected during the installation. Once the installation of Veeam Backup & Replication is completed on vbr.cloudconnect.local, the configuration of Veeam Enterprise Manager can be completed by adding this server to the list of managed backup servers. This server holds the installation of Veeam Backup & Replication. 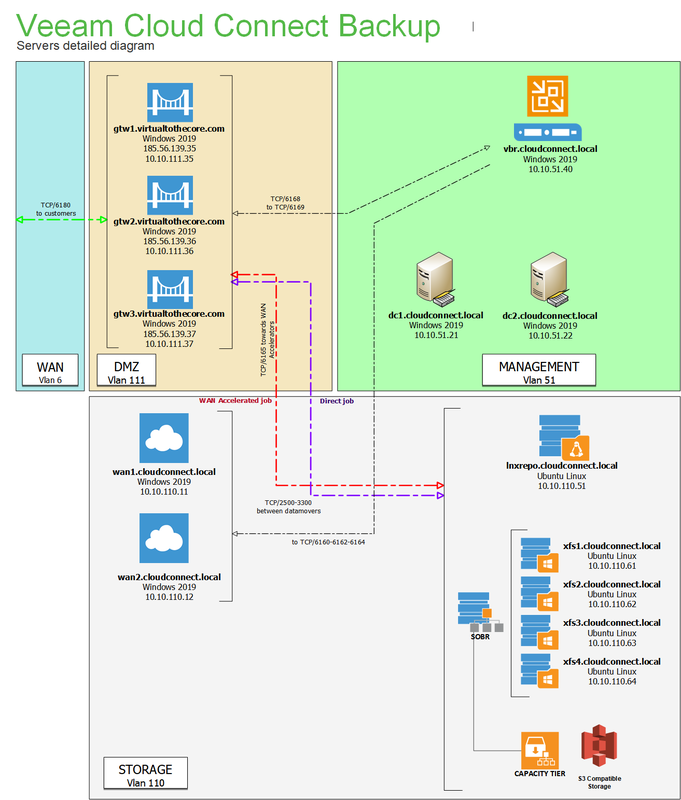 In a Veeam Cloud Connect infrastructure, this server is the central location for daily activities. The installation has no specific requirements, and you can follow the default wizard from start to finish. A dedicated Microsoft SQL Server 2012 Express is installed locally as part of the installation wizard, and the Veeam Backup & Replication server itself will use it. During the component selection, a service provider should also choose to install the optional PowerShell SDK: Cloud Connect can be heavily automated via RESTful API or PowerShell, so having both available is a good choice. Once all the configurations steps are completed, a service provider will be able to create and manage users/tenants.